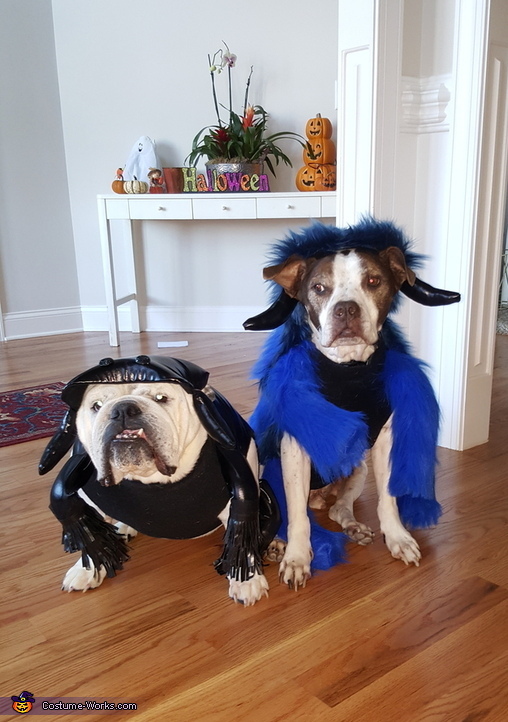 Moolah the Bulldog is a Black Widow and Rocky the Pitbull is a Cobalt Blue Tarantula. All spider legs were made with pipe insulation covers and picture hanging wire for bending. Eyes were made with sequined buttons.